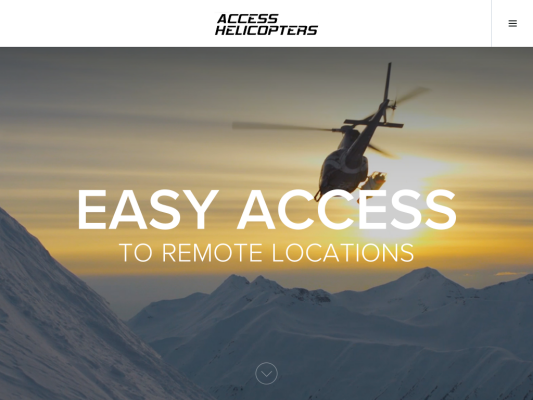 Roketto partnered with Access Helicopters to build them a modern website with eye-catching imagery to feature their helicopter services. Access Helicopters’ previous website was out of date and out of touch with their current audience. It needed to be totally revamped; both the design and technology. The result is a modern website, featuring streaming video, powerful use of imagery, white space, and concise content. From precision long line to vast mountain flying, Access Helicopters strives to provide the highest level of service through a combination of a modern fleet, versed team, and safe operations. 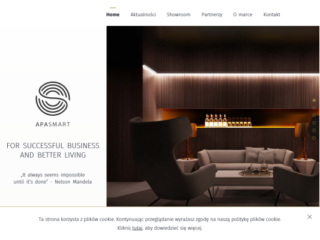 Highlights of the project include a unique homepage scrolling experience, and the many custom interactions with various elements throughout the website.